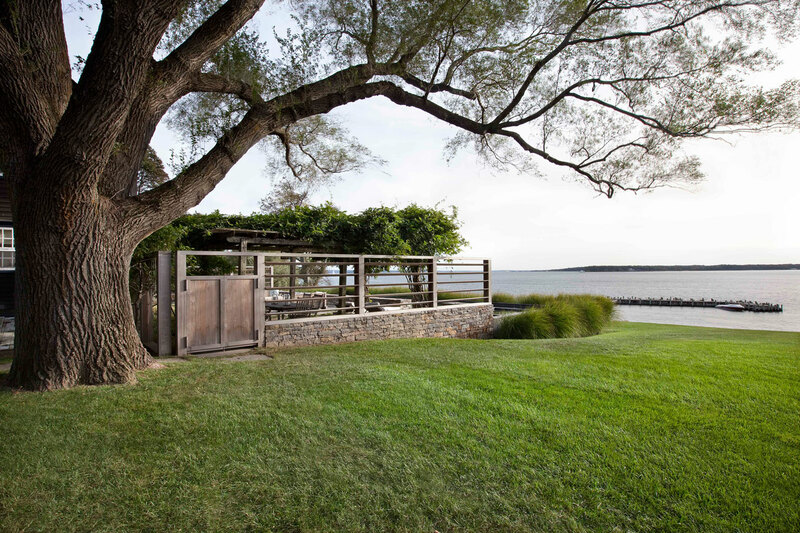 For a historic waterfront home on Shelter Island, we were commissioned to design a new pool and terrace to replace an existing brick patio. 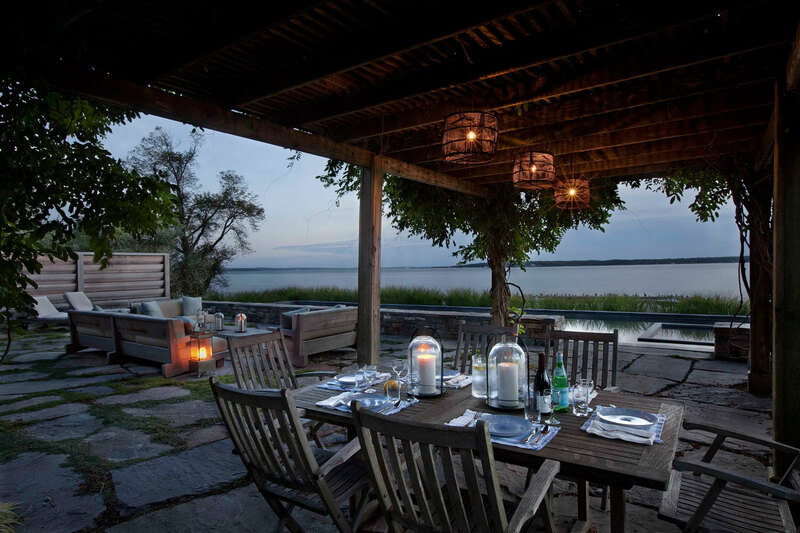 The operable louvered partitions provide privacy for the owner on both sides of the terrace. 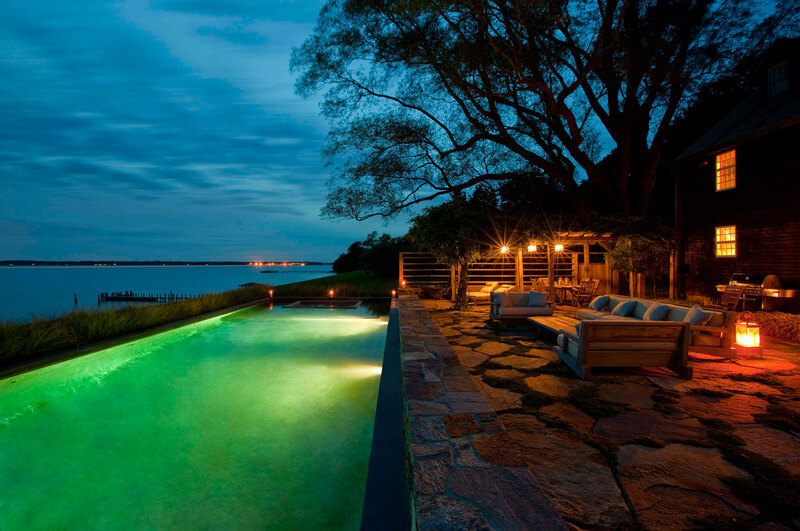 Flush with the grade of the terrace, the pool allows for a sweeping view of the bay beyond. 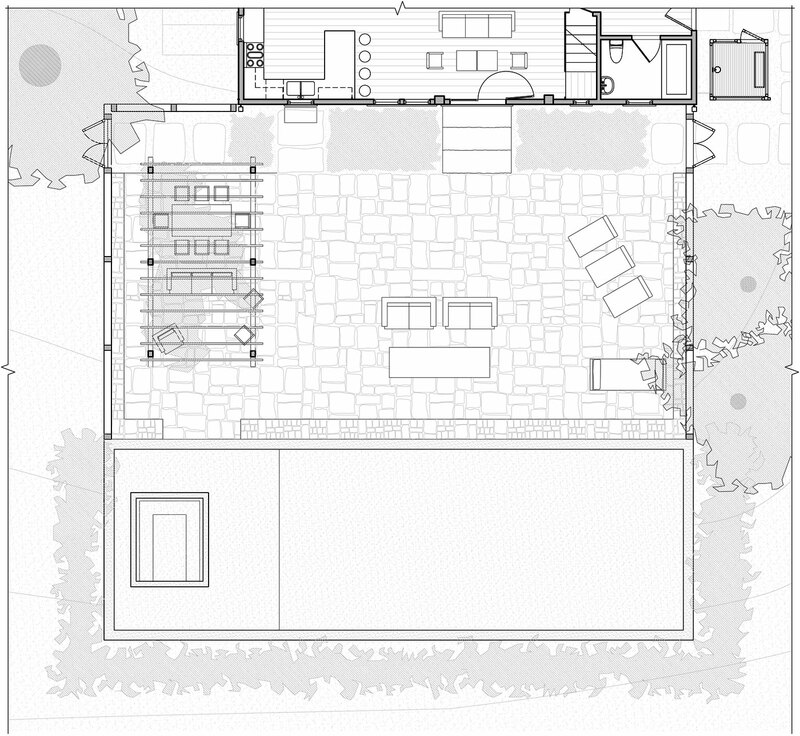 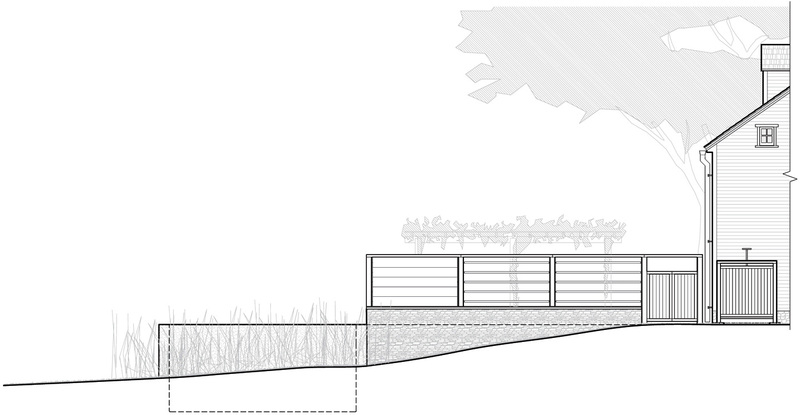 While the terrace and pool coping maintain grade in the direction of the bay, the surrounding grade descends, allowing the pool to be categorized as “above ground.” This precludes the need for a pool fence, as the terrace louvers and existing house protects the East side of the pool. 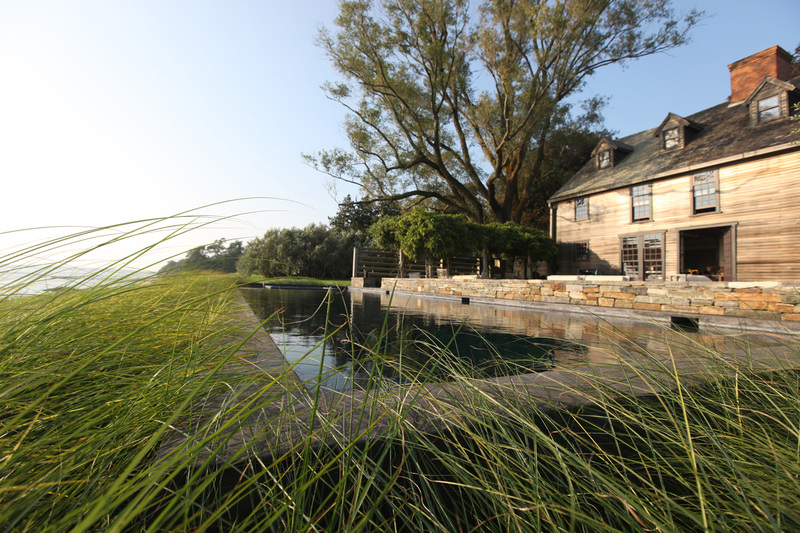 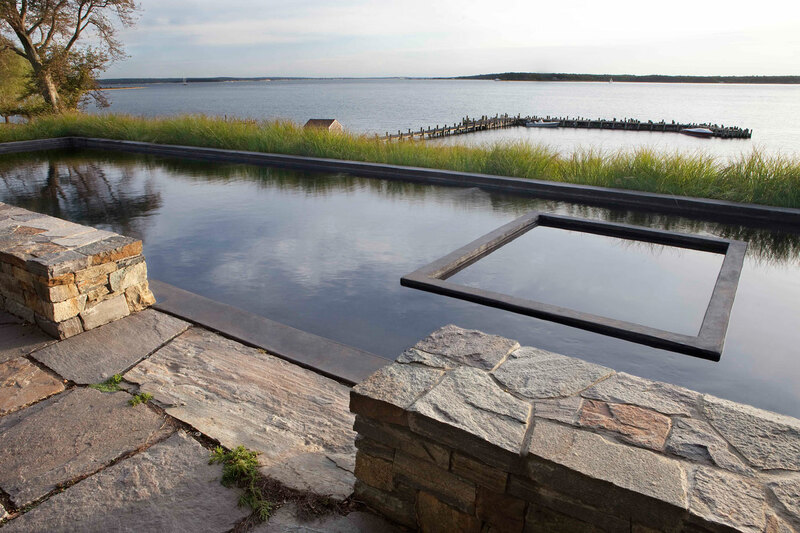 The terrace design makes use of large stones from an upstate New York granite quarry to form dry stacked walls and pavers, which contrast with the monolithic dark grey concrete pool and spa. 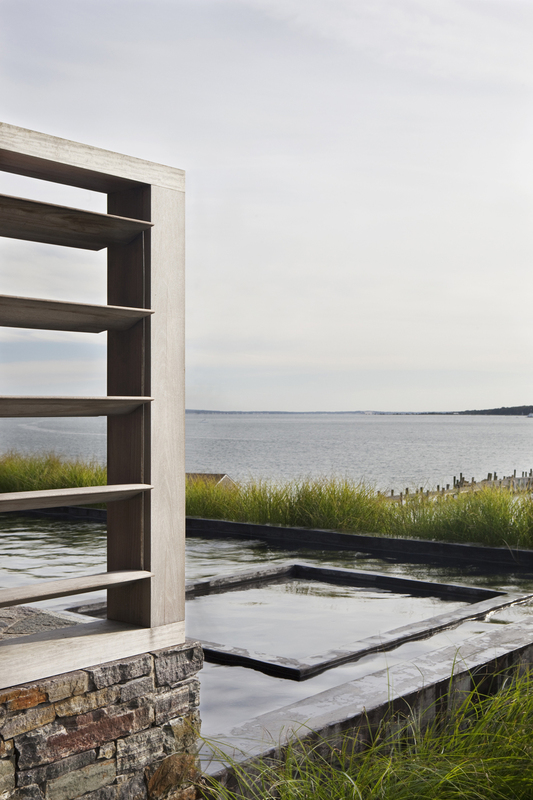 The ipe louvers adjust to accommodate for the views and bay breezes. 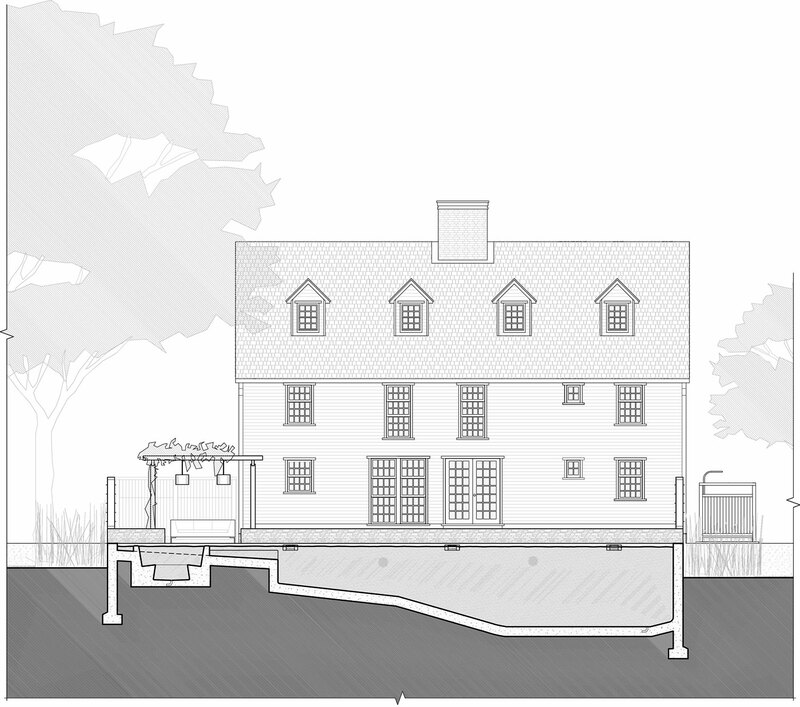 The 18th-Century home was moved from a Connecticut farm to its current location, and the original west façade did not provide for the desired bay views. 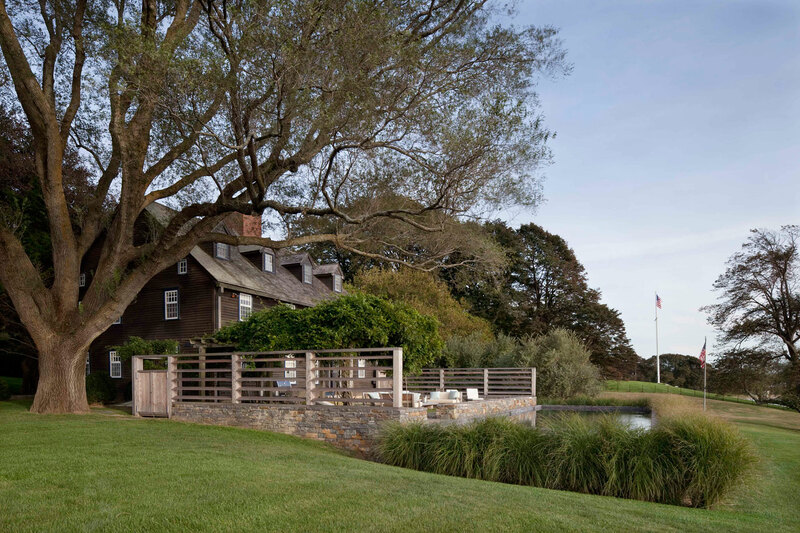 Thus, the existing small windows and a single door in the kitchen were replaced with large triple-hung windows and French doors, improving the composition of the façade and better connecting the interior space with the new terrace, pool, and bay beyond. 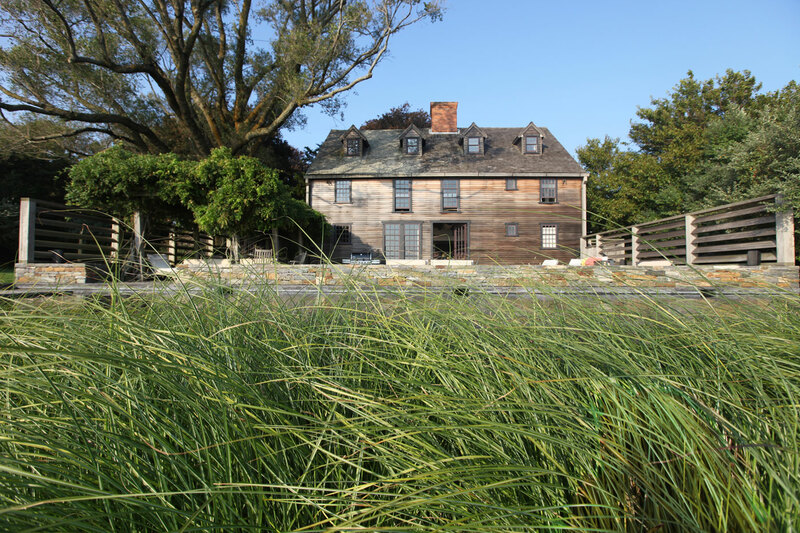 Small windows in a second floor sitting room were also replaced with new triple-hung versions, taking advantage of the expansive waterfront views.